Migori County is located in the western side of Kenya bordering Homa-Bay, Kisii and Narok Counties. It has a population of 917,170. It is perhaps the most diverse in Nyanza after Kisumu. It serves as in important link between Kenya and Tanzania and the second most viable commercial center in Luo-Nyanza after Kisumu. The main economic activities/industries: Agriculture, fishing, manufacturing and mining. The main Agricultural products: maize, millet, sugarcane, sorghum, groundnuts, cassava, sweet potatoes, beans, sukuma-wiki and sweet bananas. 43% of population live below the poverty line hence affecting education enrollment due to the schools needs. There are 788 Primary schools with an enrollment of 240,366 pupils and 144 Secondary schools with an enrollment of just 17,554 a high percentage fall off after the first level of education. The main source of light is kerosene, sometimes replaced by firewood/candles. For cooking the households almost exclusively use charcoal and firewood (hence a high rate of deforestation in the area). The price of kerosene is high. The lack of access to light is quoted by the parents and teachers as one of the biggest hindrances in student performance and it’s very hard to study at home, so they study only at school during the day. 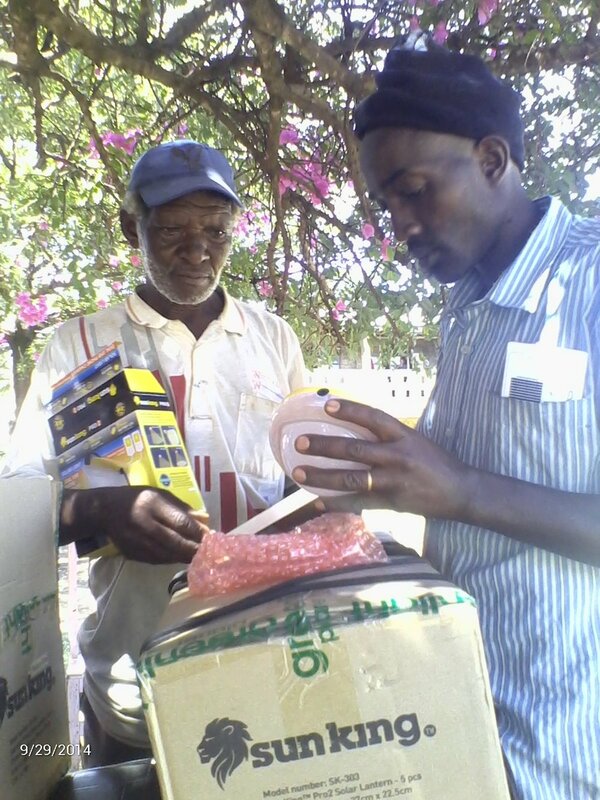 GIVEWATTS brings access to solar lamps. GIVEWATTS process has been developed into a process where the initial funding starts the distribution wheel. Our aim is to keep a balance between business efficiency and impact.